BBC Radio 3 are flagging up a radio documentary this Sunday featuring interviews with Benny Golson, Hal Galper, Jerry Tolson (University of Louisville), Gary Falk (Falk Recording Studio in Louisville and a member of the band Indigo) and Professor Colin Drummond (Professor of Addiction Psychiatry at Kings College London). In the 45-minute progamme, Dr Sally Marlow, Public Engagement Fellow at King’s College London and a specialist in addiction and mental health, explores the links between jazz and heroin addiction and tells the story of the 'Narcotic Farm' in Lexington Kentucky. The story of jazz in the post-war era is one of revolution and rebellion, as musicians like Charlie Parker, Thelonius Monk and Dizzy Gillespie re-invented the genre, giving birth to bebop. But alongside the music, something else emerged in this period: a mini-epidemic of heroin use among jazz musicians which broke out in the mid-1940s, as the drug became more freely available in cities like New York, Philadelphia and Chicago. In their attempt to understand and tackle the rising problem of drug addiction and the moral panic that ensued, the US Government targeted and arrested many jazz musicians. But instead of sending them to conventional prisons, many ended up at a Kentucky institution known as the Narcotic Farm. Part prison, part hospital, it was the first attempt anywhere in the world to simultaneously treat addiction as a health problem, whilst studying the science behind it. Though it practiced an enlightened approach to therapy, it also carried out what today would be considered highly unethical experiments on patients, which even included re-addicting them in order to study the symptoms of withdrawal. 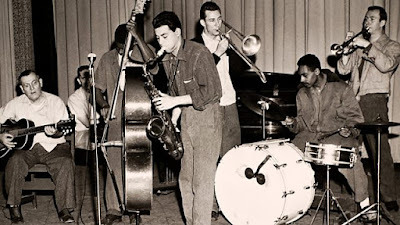 The roll-call of jazz musicians who spent time at Lexington is astonishing: Sonny Rollins, Elvin Jones, Chet Baker, Lee Morgan, Sonny Stitt, Bennie Green, Jackie MacLean, Red Rodney… the list goes on. Rather than viewing Jazz as part of the problem, the doctors and researches instead chose to look at it as a potentially therapeutic activity. Musicians were given instruments and rooms where they could play for up to six hours a day. As a result, bands formed – jazz super groups – who performed regularly in the prison’s auditorium. The shows became so famous that one band was invited onto the Johnny Carson Show on US TV. In this programme, Dr Sally Marlow, an addiction researcher at the Institute of Psychiatry, Psychology and Neuroscience at King’s College London, examines the relationship between heroin and jazz in the post-war period and explores its impact on creativity, therapy and addiction science both then and now. She hears from musicians of that period, travels to Lexington and discovers that a recording of a ‘Narco’ concert, made by a member of staff in the late 1960s, has survived.